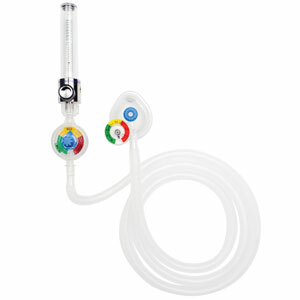 Use the Schnozzle™ for irrigation of the nasal passages of kids (& adults). 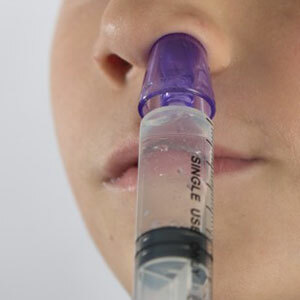 Suctioning frequently does not adequately clear the nasal passages and can be traumatic. Now there is a new option to use the Schnozzle™ to flush out the nasal passages of your patients, so they can breathe more easily. This is especially important for your smaller patients with URI’s and bronchiolitis, when nasal congestion interferes with feeding and hydration. 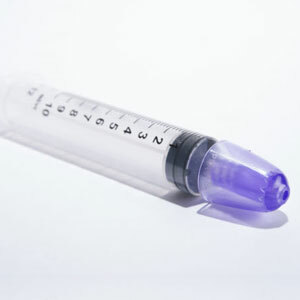 Simply twist securely on a 5-10cc syringe with sterile saline. 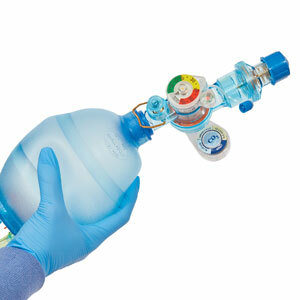 Have a bulb syringe or catheter suction handy. Roll your patient on to the side. Flush the upper nostril to wash out mucus. Suction and repeat as needed. You may be surprised with how well you and your families like the results.